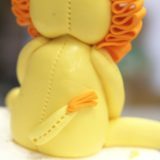 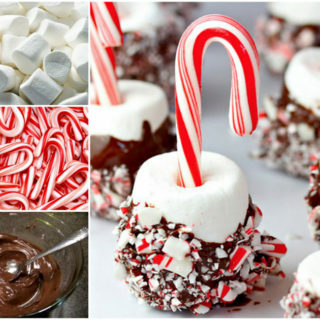 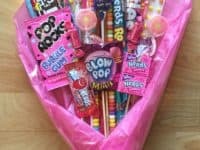 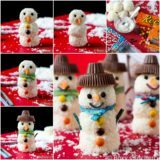 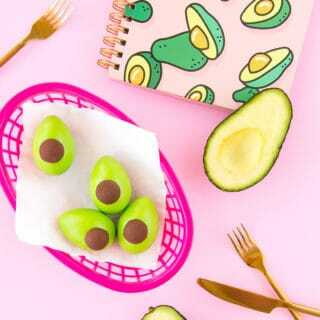 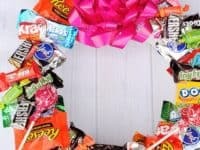 Candy is delicious all on its own, but these amazing DIY projects make it fun to give sweets as a gift for any special occasion. 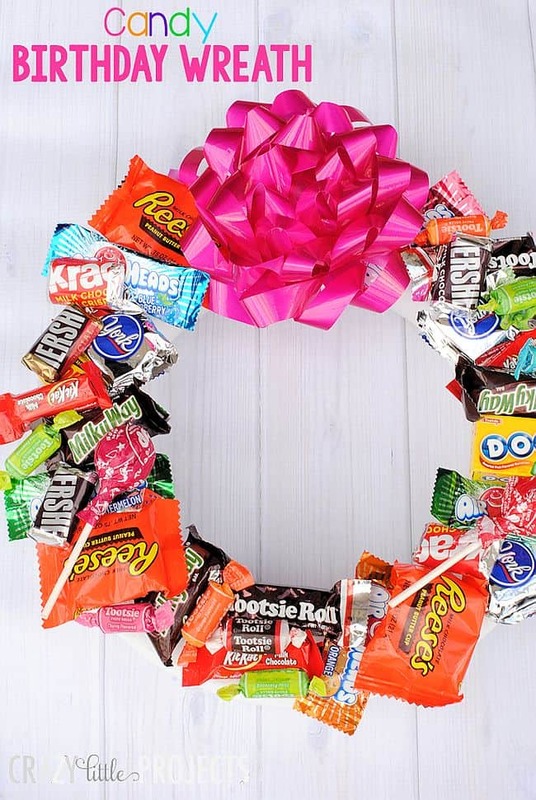 A candy wreath is the perfect DIY birthday party decor, since the guest of honor can enjoy the treats when the party is done. 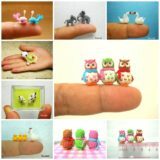 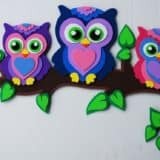 Crazy Little Projects has the details. 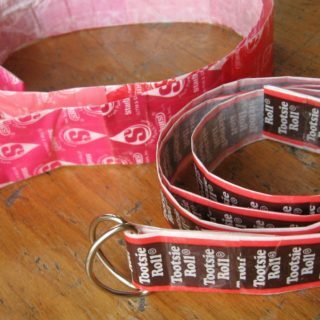 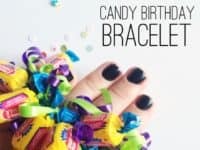 A bracelet made with bubble gum and curling ribbon is a cute and inexpensive DIY birthday gift or party favor. 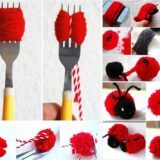 Snap Creativity has the tutorial. 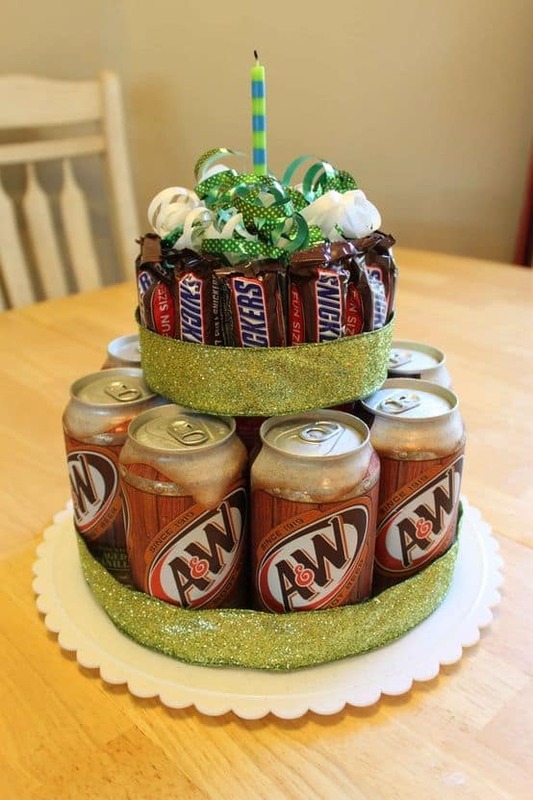 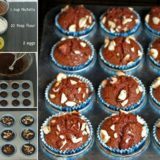 Turn soda and fun-sized candy bars into a cake that’s sure to please. 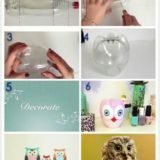 Visit Pinching Your Pennies for the details. 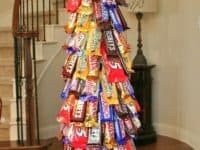 Make a big impact with this candy bar tree. 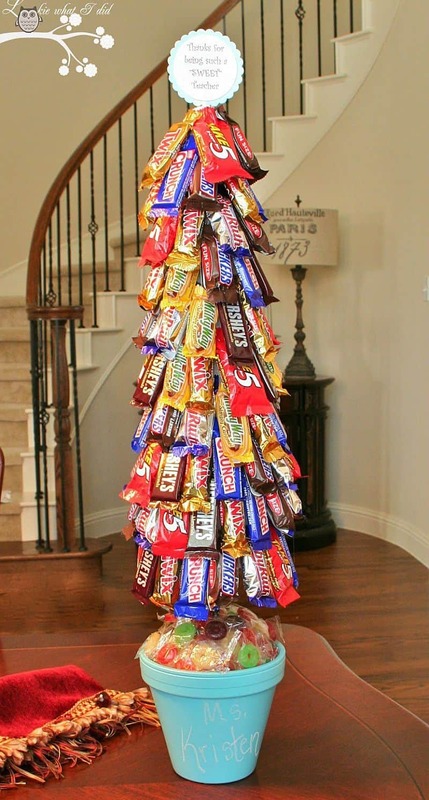 This would be the perfect DIY project for a large party, if you let each guest take home a candy bar as a favor at the end of the night. 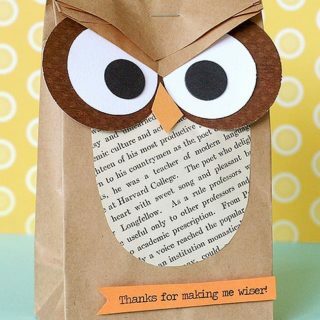 Lookie What I Did explains. 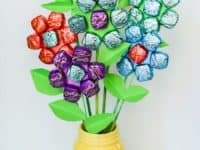 Turn lollipops into an edible topiary with this clever project from the DIY Network. You’ll need candle holders, foam spheres, and a large bag of delicious lollipops for your completed topiary. 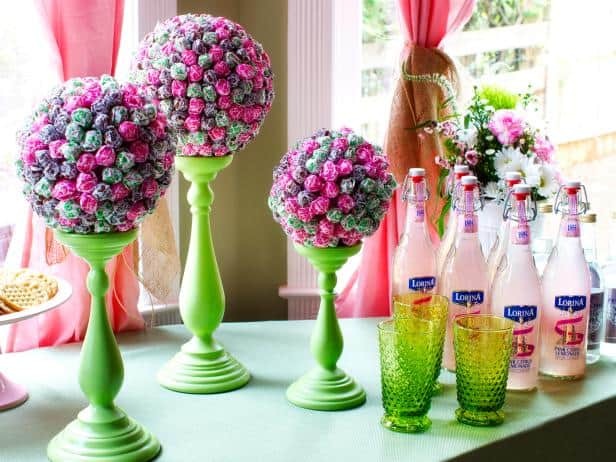 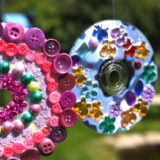 Hometalk suggests making these flowers for Mother’s Day, but they’d be perfect for any occasion. 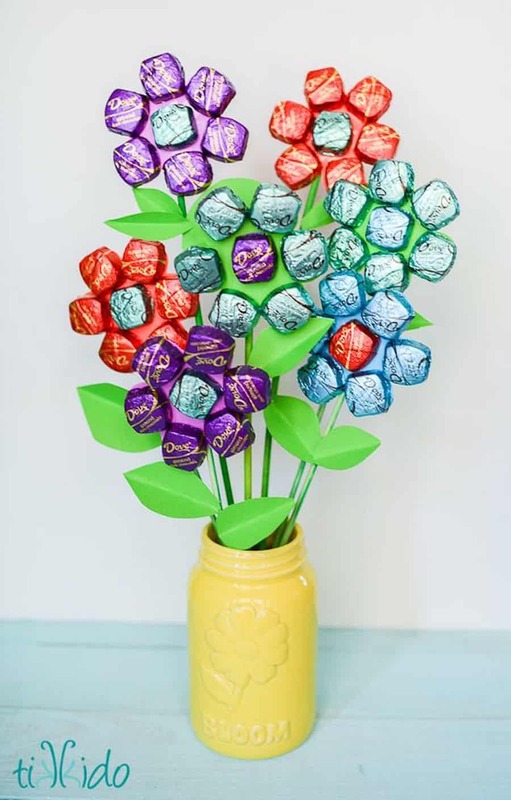 All you need is floral foam, wooden skewers, cardstock, a cookie cutter, double stick tape, a vase, and wrapped chocolates. 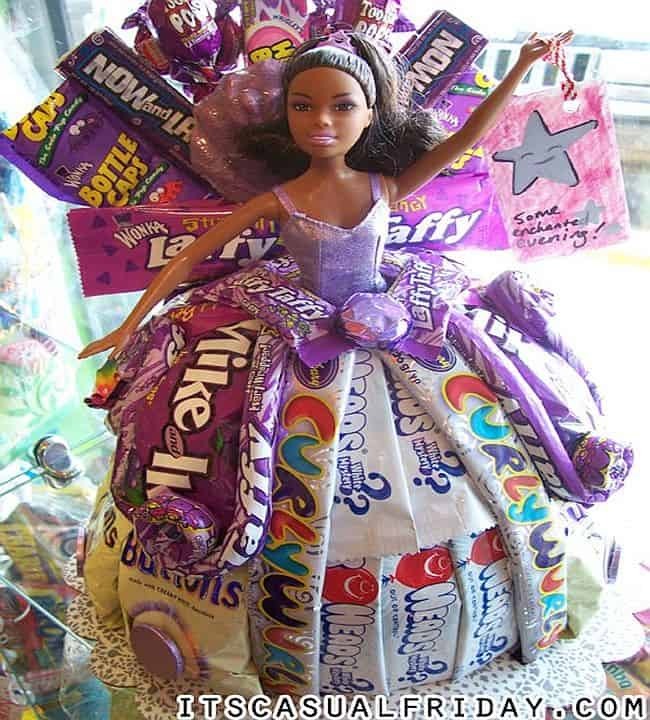 What little girl wouldn’t love a Barbie who is wearing a delicious candy dress? 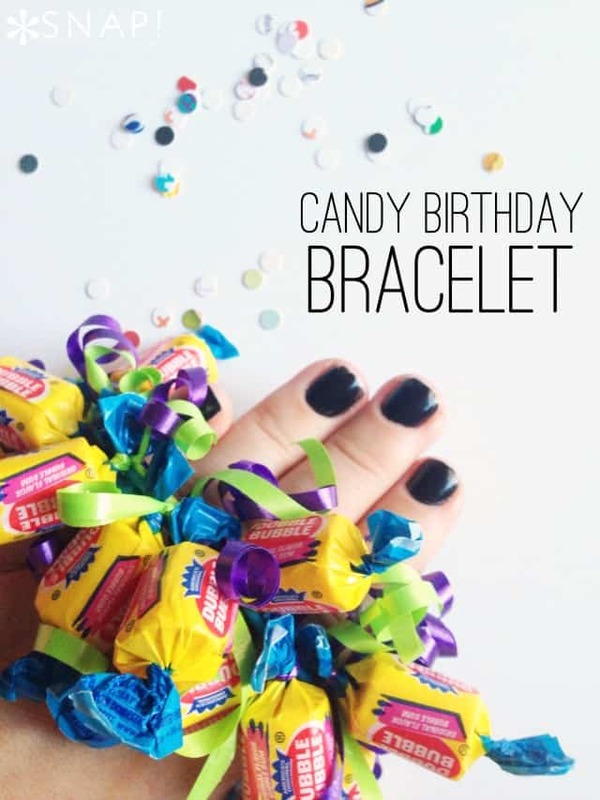 Visit It’s Casual Friday for the full details on this festive DIY project. 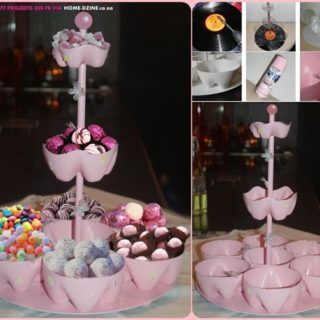 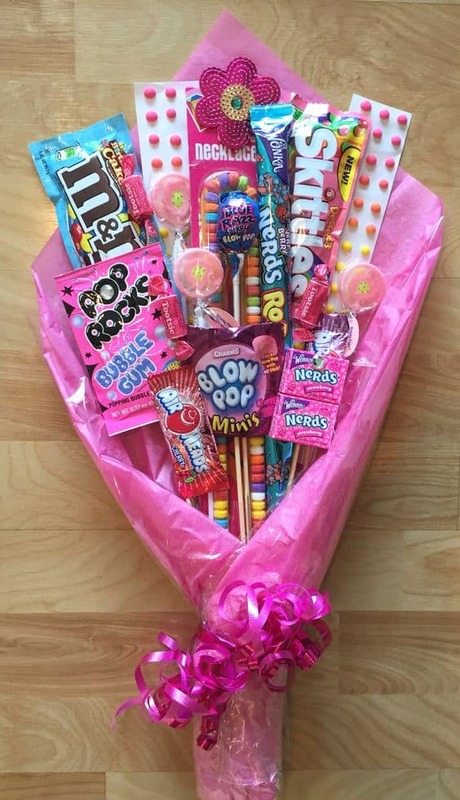 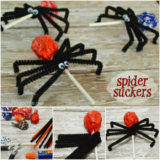 Instead of giving flowers, attach candy to skewers and wrap it up like a bouquet. 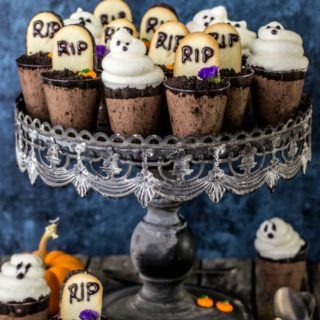 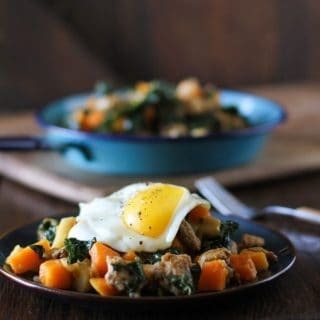 Photo via Pinterest. 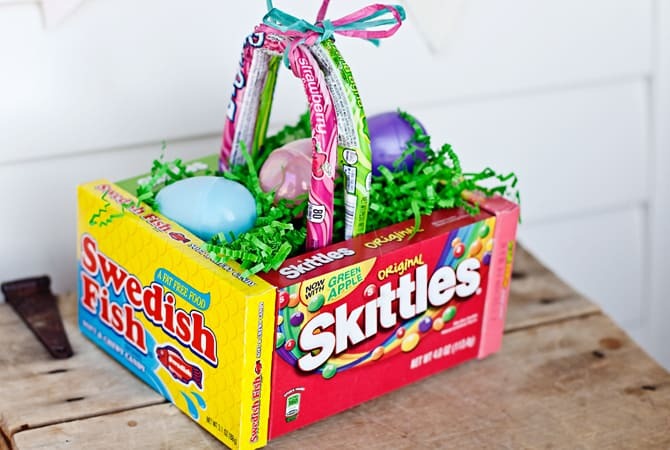 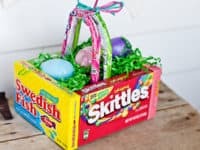 This project makes the perfect Easter basket, but you could adapt the idea to fit other occasions if desired. 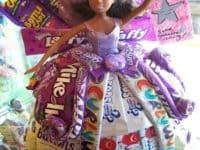 The Krazy Coupon Lady explains. 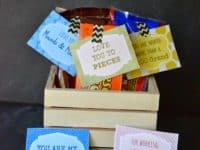 Show someone how much you care with a candy gram that includes a variety of sweets with clever sayings attached. 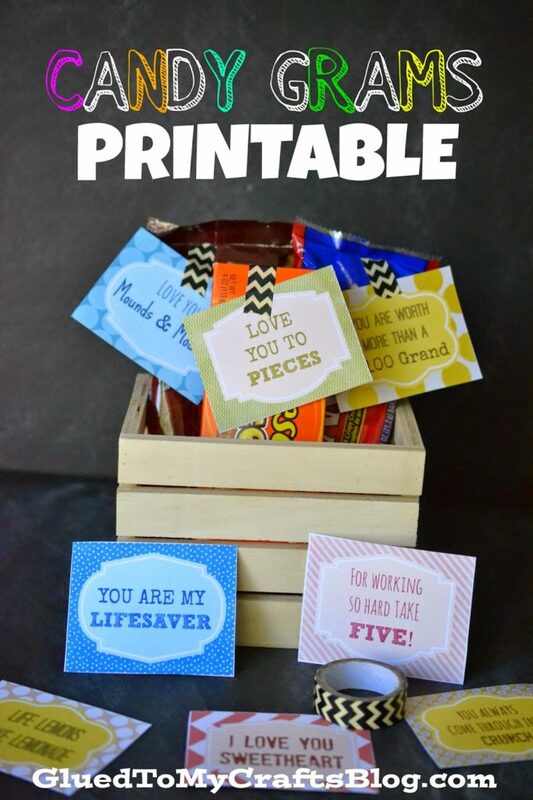 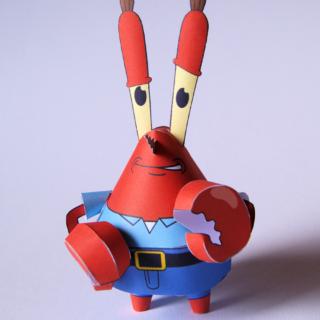 Glued to My Crafts has free printables you can use to make this project a snap.